get a post together that will help you get these characters made. 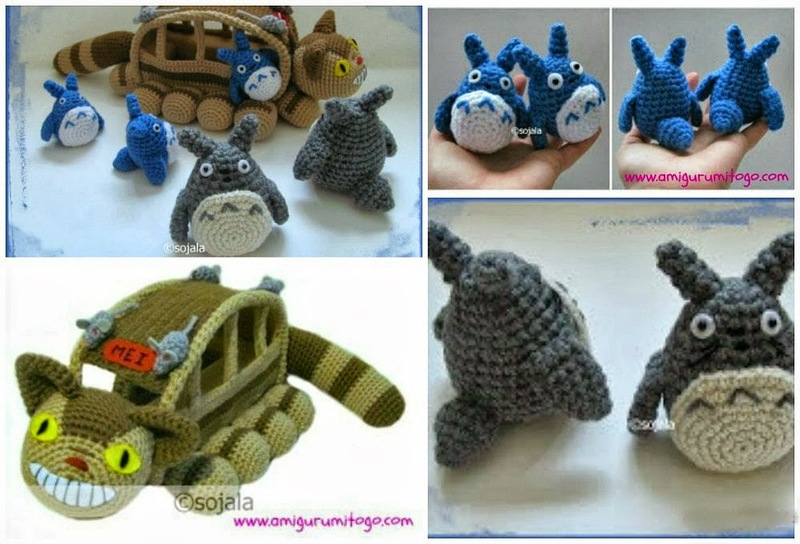 I have written patterns for each of the Totoro characters you see pictured above (plus a few more not pictured) and each one has a video that will help you through each pattern. You may sell finished products. Do not reprint these patterns on any site, magazine or book. If you'd like to share this pattern please provide a link back to it. I love your Catbus. I saw it for about 4 weeks ago, and i decided to make one for my grandchilds birthday. I got it finished in time. it took me this time to make it ready. It was not so difficult to follow you on the wideo and by your patterns. 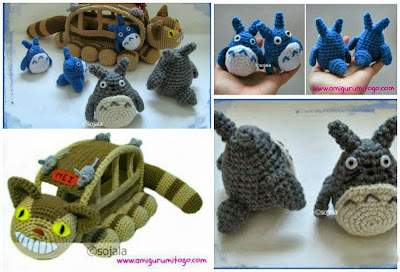 I also made the smallest and the middle size of Totoro. I am very happy for all your help. You are fantastic and i am happy that you will share allyour patterns.I look forward to follow you in the future.Thank you so very much. Lots of hugs from Marguerite from Sweden. I need to make this cat bus, love love love it!! !